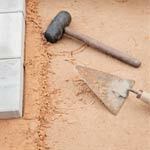 Browne's Contracting offers everything you need to protect and update your home's brick exterior. When the mortar between your bricks has cracked or deteriorated, we can remove it and replace it with fresh mortar for a cleaner, more polished look. It keeps the bricks from getting damaged, and protects them from rain and snow. We can tuckpoint a small area that needs repair (in which case we dye the mortar to match the weathered mortar elsewhere on your exterior), or we can repair your entire facade. 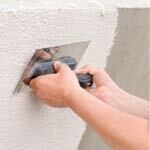 Replacing the cement along the outside basement walls and the foundation improves the look of your exterior walls and protects against rain and snow. When we replace broken or deteriorated bricks with new ones, we are always careful to match colours so the new bricks blend seamlessly with the ones that have been there for years. 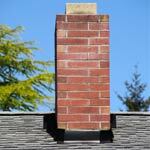 Our masonry expertise ensures you'll have a safe chimney that looks good and functions beautifully. 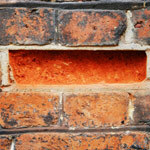 Small fixes maintain the look and value of your home. 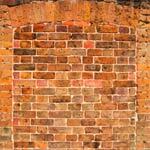 Bricking in doors and windows. If you need to close off a door or window, we will brick it in with materials that match what's already there, and keep your exterior looking great. 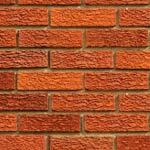 Efflorescence, a moisture-related discolouration, can change the colour of your bricks, coating them with a powdery white substance. Tinting the bricks is an easy, inexpensive way to get them back to their original colour. We go over each brick with dye; it looks great and lasts for years - the colour sinks into the surface of the brick, and won't come off, no matter what kind of weather it is exposed to. Not all types of bricks are suitable for tinting. Please contact us to discuss your specific needs. 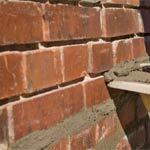 Want your bricks to be beautiful again? Get in touch with us today, and we'll come out to your home for a no-obligation quote. "Over the past year I have had the pleasure of doing business with Browne's Contracting. They have been very professional and thorough with all the projects they have done for me. They keep within my budget and make recommendations for any changes that I need a second opinion on. They work efficiently, do not waste time on the job site and clean up thoroughly at the end of the day." "I highly recommend Browne's Contracting for any project you may have big or small. Mike takes great pride in his work and it shows. Thanks Mike!" "I was recently very impressed with the work done by Brownes contracting , there was efflorescence showing on the brick so the crew did a brilliant job fixing the bricks so they blended back into the house , then ground and pointed all the joints, ..."
"We had a significant amount of tuck pointing done by Browne's Contracting in the spring of 2010. We were really happy with the quality of Mike Browne's work and the time and effort he took to make things look good. Our mortar had turned 4 different colors over time (depending on which wall it was on) and was almost impossible to match. The new mortar fit right in and is undetectable when viewing the house. Mike also replaced a large number of bricks with new bricks. We were worried that it would look bad because the new bricks didn't match. Mike did a great job hand-dying the bricks so that they fit in with the original brick that is 80 years old. We will recommend Mike any time!" "Browne's Contracting did a perfect job in my opinion! They did an excellent job.They were very professional the whole time.I manage many properties and it is nice to have someone reliable who you can count on to do an outstanding job." Brownes Masonry and Tuckpointing © 2016. All Rights Reserved. Website By: Digital Ink Technologies Inc.